Ladies, you heard it right! The Honeypot Wax Boutique officially opened the second outlet at One Utama shopping mall on the 1st July after their first outlet at Bangsar shopping centre! I have never tried any waxing treatment and when I received the invitation for the launching day, am pretty excited and kinda nervous too. We were also served with some refreshment and I took my own sweet time to enjoy the cupcakes as they were really yummy! I had the rose wine ( if I not mistaken ) on that day itself too! 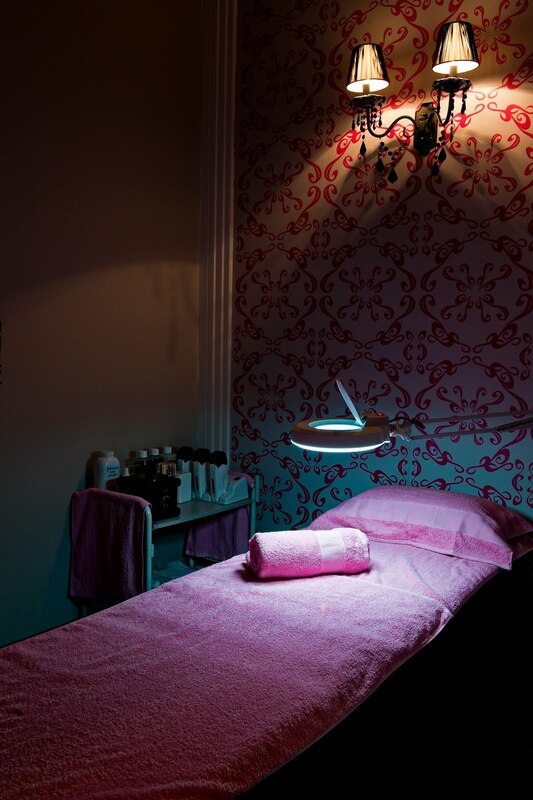 This new boutique have four treatment rooms offering luscious treatments that include full waxing service. It is also will feature the same stylish concept which is designed and furnished with dramatic crystal chandeliers, stunning black mirrors, funky pink signature motif walls, and private pink treatment rooms right down to its hot pink products. Be it MALE or FEMALE, just visit Honeypot and be pampered and buffed to perfection! I was told that the duration for waxing treatment will be depending on which treatment you take. I was quite nervous for I do not know what's going to happen when am entering the treatment room! Silly me! It was rather a fun experience than painful one I would say. Being the first timer, it is normal to feel the pain but I believe once I get used to it, it won't be that painful anymore. The part that I enjoyed the most was during my leg part as it's not painful at all! The therapist was really friendly and being gentle enough through out the whole waxing process. She also advised me to not shower with hot water for 24 hours to avoid the pore to open. After the waxing treatment, I get the chance to had a chit-chat with Ms Ow Shin Yann, Honeypot Founder. She flew in from Singapore to Malaysia for the launch of second Honeypot Wax Boutique at One Utama. She also advised me to have body scrub for at leats 2-3 times a week after waxing treatment. For more information, do visit www.honeypotwaxboutique.com .